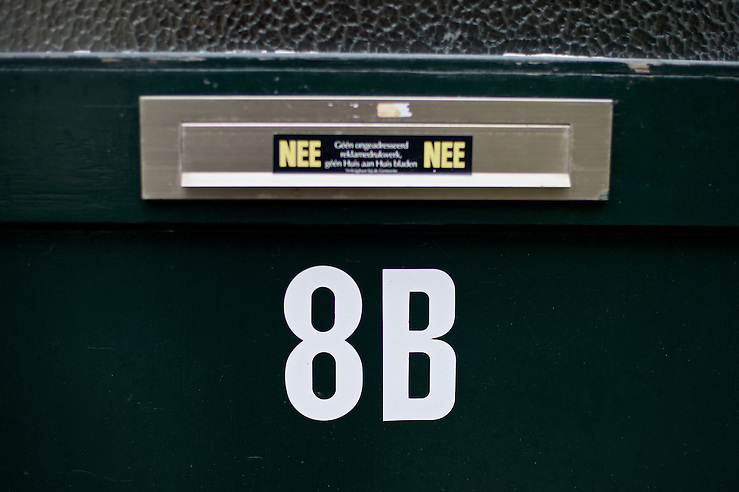 8B, the house number marked on the front door of my old home. The sticker on the letter slot indicates the residents prefer no spam. After living abroad for more than three years I visited my old home town. Wondering what has changed I packed both my curiosity and a camera. After living abroad for more than three years I recently (re-)visited my old home town. Wondering what has changed I packed both my curiosity and a camera. As expected – besides a few minor changes – everything seems more or less the same. Boats sail the ‘Spaarne’, the river meandering from North to South (or is it from South to North?) and local residents sip beers at a cafe on one of the squares. Record breaking temperatures and trees in fall colors make strolling the car-free alleys very pleasant. Is it me or are there even more tourists than before visiting the city? Is the time spend in a different locale long enough to experience once familiar spots through new eyes or do old habits die hard? The images in this collection captured the scenes of every day’s life.